Left plain arm with injectable deltoid pad to fit Nursing Kid manikins. 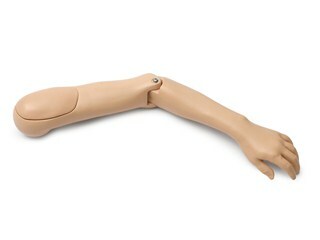 This two piece arm articulates at the elbow. *Shoulder attachment hardware not included.